Generally speaking, the Ramones are considered to be the very first punk band. I do think they were the first punk band to get a major label push. So they were probably the first widely heard punk band which makes them influential. Blitzkrieg Bop was their very first single. The Ramones are from the Forest Hills section of Queens, NY. While in high school, John Cummings and Thomas Erdelyi Had a band called The Tangerine Puppets. Douglas Colvin joined the band. And then a few years later, Sniper lead singer Jeffrey Hyman was invited to join. Colvin was lead singer and played guitar. Cummings played guitar and Hyman played drums. Erdelyi managed them. They brought in their friend Richie Stern to play bass. But he wasn't any good so Colvin switched to bass. He started calling himself Dee Dee Ramone influenced by Paul McCartney's use of the name Paul Ramon from his Silver Beetles days. So they all took the name Ramone. When they found that Colvin couldn't sing and play bass, Hyman was made lead singer. Then when they found he couldn't sing and play drums, Erdelyi became the drummer. So they started playing gigs and they signed with Seymour Stein's Sire label in 1975. Sire A&R director Craig Leon produced their first album. Leon really pushed Stein to sign them. It was released Apr. 1976. 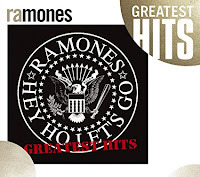 Blitzkrieg Bop was the first single. Despite the uncomfortable subject matter, the album was a strong catalog seller and eventually was certified Gold. Erdelyi wrote the song as Animal Bop and Colvin changed some of the lyrics so it would be controversial. Like much of the Ramones music, the song was short and played at a rapid pace. It was very influential at the time. They were a very popular live act. After a couple more albums, Erdelyi retired and became the band's producer. Former Richard Hell & The Voidoids drummer Marc Bell replaced him. Then they appeared in the 1979 film Rock 'n' Roll High School and legendary producer Phil Spector produced their 1980 album End of the Century. 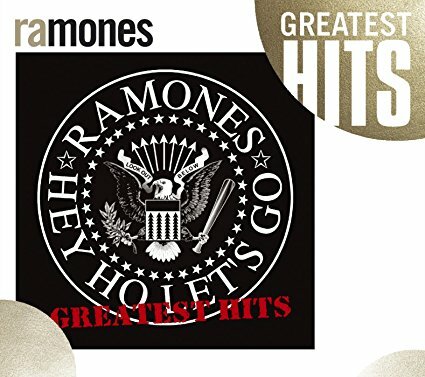 That cemented the Ramones as punk music legends. This budget comp covers their early albums. The band continued but were having problems with Bell's alcoholism. So he was replaced by Richard Reinhardt. Bell returned in the late 80s. Colvin left due to personal problems and was replaced by CJ Ward. In the 90s, the Ramones switched labels twice. And other than an appearance in a 1993 episode of The Simpsons, the band seemed to run its course and disbanded in 1996. They were inducted into the Rock and Roll Hall Of Fame in 2002. All the original members are deceased. Hyman died in 2001. Colvin died in 2002. Cummings died in 2004. Erdelyi died in 2014. As I said, the Ramones were influential because they popularized punk. They set a template for other bands. Here are the Ramones performing Blitzkrieg Bop.